How about a milk truck ? Emblem removed. Photo from Don MacKenzie. The Federals have it. 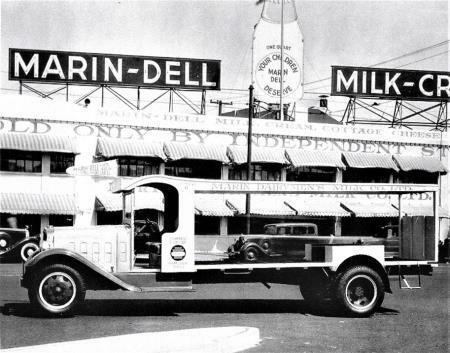 This is a circa 1934 Federal operated by the Marin Dell Dairy. 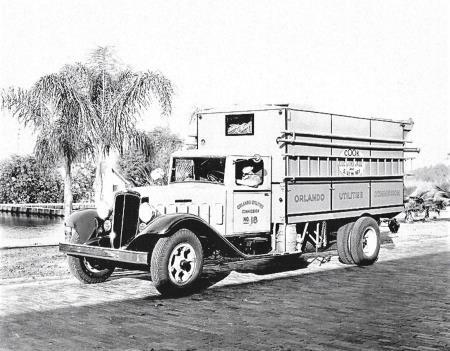 Our second photo is another Federal, this one operated by the Orlando Utilities Commission. OUC operated a power plant just south of here in Port St. John, Florida for many years. Hamish had this first. Thanks to Don MacKenzie for the photos.